Some of the most beautiful places on earth are lesser known and undisturbed. There’s a special sense of wonder that goes along with discovering a place like this. You feel somehow it belongs to you. You take that place with you, even when you leave. 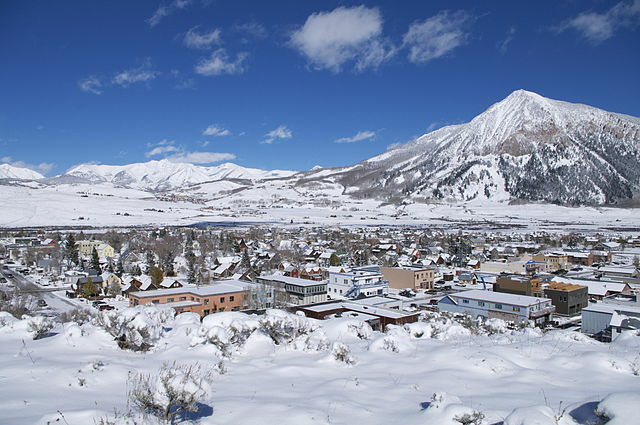 Gunnison-Crested Butte is like that. It’s a breathtakingly beautiful, luxuriously civilized place that has fortunately remained very much the same over time. Here you will find genuinely friendly and helpful locals. You will also find towns so authentic it’s like taking a step back in time. For the best results please use our vacation planner to be contacted by our renowned Virtuoso Travel advisors that specializes in Colorado. We do it all for you, air, car, hotels, and everything else you desire. Crested Butte Mountain Resort is known for Colorado’s best grooming and off-piste skiing where the longest lines you’ll see are behind your skis! A true destination resort, unlike many of Colorado’s “day tripper” ski resorts, attracts visitors who like to come for a longer visit and get to know the place. Winter also brings such delights as snowshoeing, cross country skiing, dog sledding and snowmobiling in glistening forests and magnificent back country. Make sure to scan your passport, visa, insurance and documents. Then email them to yourself so you always have a copy in case you lose them while abroad.